When he claimed he had joined the All Progressives Congress, APC, a little over a year ago, not a few members of the APC especially from his Emohua Local Government Area grumbled. Their grouse was that they know the man Chief Emeh Glory Emeh too well. According to an Emohua indigene (name with-held), Chief Emeh is like a tiger that can never change its spots. “We told our leaders that those of us from Emohua know this man very well but we were ignored. They welcomed him with open arms but today, like the typical political bird of passage, he has moved back to the PDP where he believes he has the opportunity to scam the governor of huge sums of money in the name of conducting propaganda against the APC,” he revealed. It does not take much to realise that Chief Glory Emeh has already started work as a self-acclaimed propagandist and lie merchant. He seems to have nothing else in his propaganda scabbard to please and scam Gov. Nyesom Wike and the PDP than to create and project a singular agenda of an imaginary division in Rivers APC. This line of propaganda or narrative serves Chief Emeh two purposes. He uses it to accentuate his imaginary dooms day for the APC in Rivers State, something the right thinking public know is not true. The second reason is to try and justify his ignominious and shameful defection to PDP in search of filthy lucre, a movement even his Personal Assistant (PA) refused to do with his boss. There is no gainsaying that his closest associates rebuffed his persistent attempt of luring them to leave the APC and join the PDP. Tuth is that the man who regales in having made a fortune from former Governor Peter Odili through propaganda went alone to the PDP. The real battle for Chief Glory Emeh should not be against Rivers APC, the uphill task before him should be how to launder his image as a notorious liar and serial betrayer before his old pals in PDP. He is known to have betrayed everyone else that has crossed his part in life. The list of his victims is too long for the space available here. Undoubtedly, Chief Glory Emeh has a penchant for big ideas and sees opportunities to make money from propaganda where no one else does. He confesses to anyone that cares how he made so much money selling media-related dummies to former Gov. Peter Odili when he served under the latter. Emeh often narrates how he created some local tabloids, cloned existing ones all for the purpose of propaganda according to the textbooks of Chief Emeh. While in APC, he attempted to lift from his old scripts but did not find easy victims to sell his dummies to. His motives were carefully studied, uncovered and ignored. Obviously his failure to sell those dummies for big money contributed to his decision to return to his old PDP camp where the Rivers State governor could be made to buy his schemes while Chief Emeh smiles to the bank. By far, the most daunting challenge for Chief Emeh Glory Emeh is having to extract the confidence of most of the PDP members and Gov. Nyesom Wike who know Chief Emeh so well and perhaps more than they know the back of their palms. 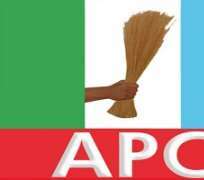 Given the opportunity, I would advise members of Rivers APC not be worried with the planted articles and other lies under all types of pseudo names emanating from Chief Emeh as he has only one objective: to paint Rivers APC as balkanised and diminishing. When the public fail to see that happen, he will naturally run out of ideas as his only objective is to eke out big money from his new victims. Nothing more.